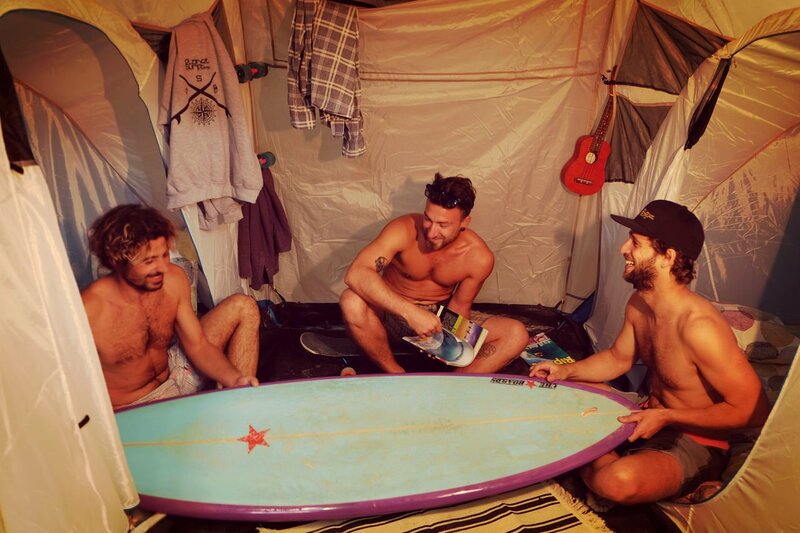 At our surf camp in Moliets you’ll be accommodated in comfortable and spacious tents. Four-person tents are shared between just two people, granting you plenty of space to relax after a long day of surfing. We appreciate how important it is to be able to get a good night’s rest and thus we work hard to ensure our tents are a pleasant place to sleep during your holiday. 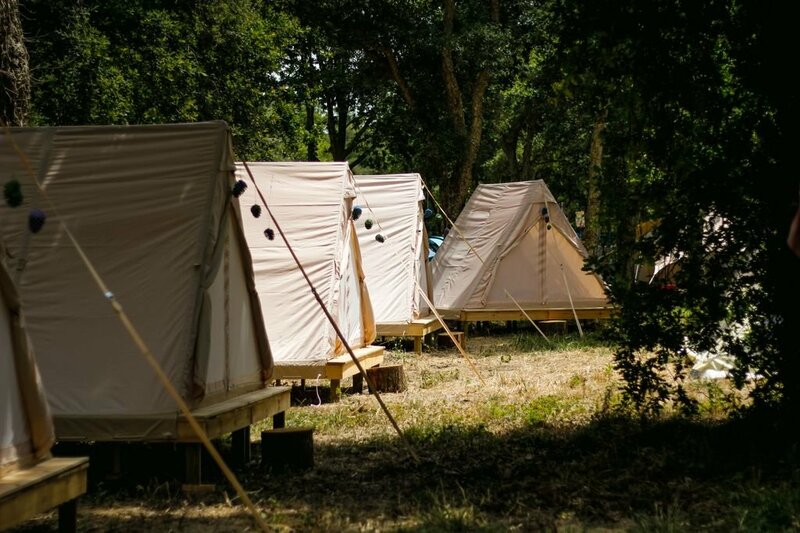 If you like a little more luxury with your camping, we also have the option of glamping tents. 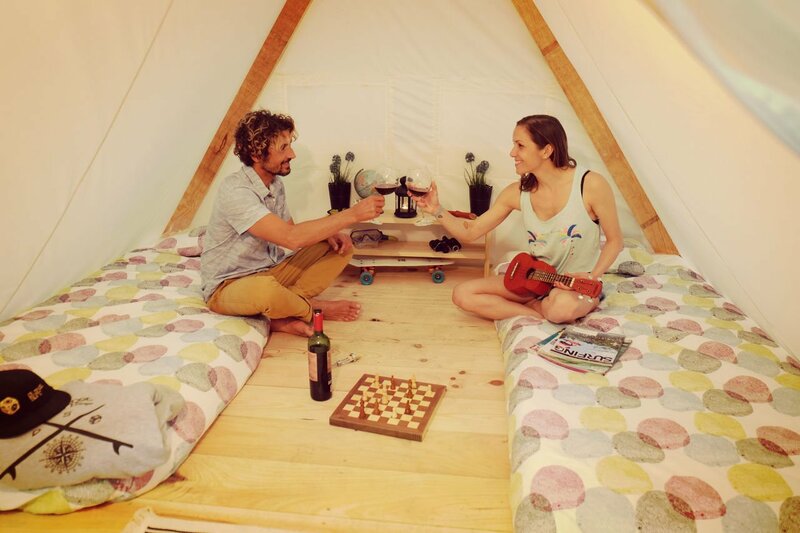 For just 40€ extra/week, your tent will be kitted out with wooden floorboards, mattresses and bedding. 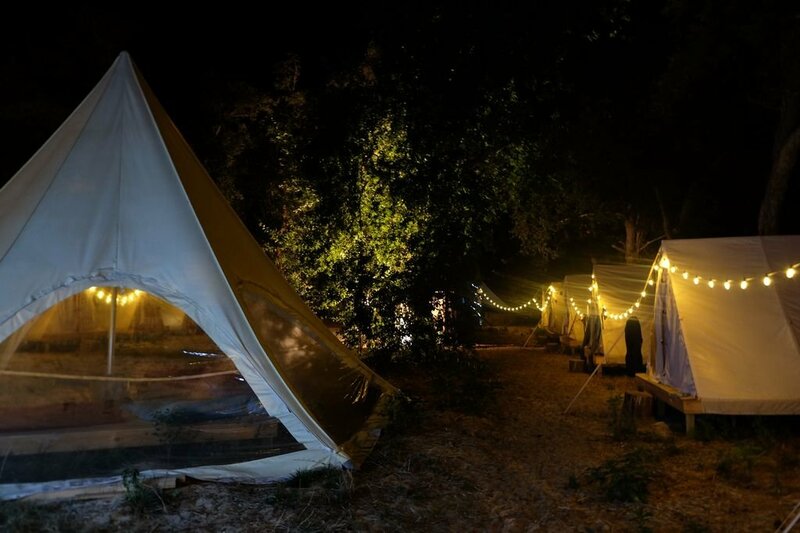 Our glamping tents really take camping to the next level! 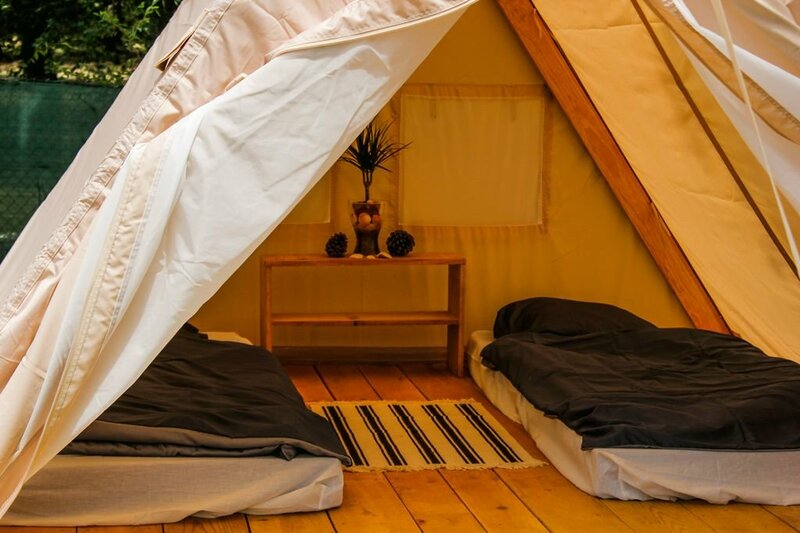 We kindly ask that if you book a non-glamping tent that you bring your own bedding and a roll-mat or mattress. If you’d like to hire one of our proper mattresses, you can do for 10€/week.